Armored Warfare Black Sea Incursion is out and to celebrate I have some codes to giveaway! 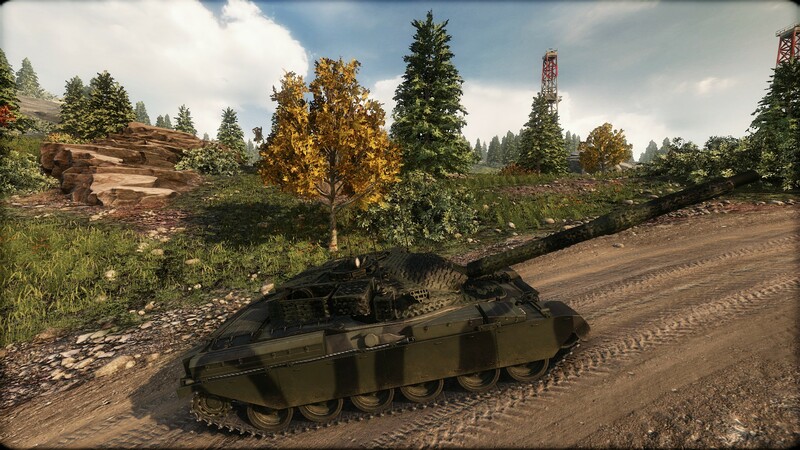 I highly recommend you giving Armored Warfare another try, if you haven’t already recently, as Update 0.25 is out and it brought a lot of new stuff to the game and loads of rebalances! If you are looking to start playing again, or if you still play and want some extra goods, just grab a code and enter it into your account. Each code will grant you a Chieftain Mk.6, a Tier 5 Main Battle Tank, a rare tank in Armored Warfare as it’s only given away by Streamers, Youtubers and Bloggers! When it comes to modules, the Chieftain Mk.6 is identical to the stock Mk.5 Chieftain with the exception of unlocked retrofits (two armour slots, one universal slot and one firepower slot), the smoke grenade launcher and the improved fire control system. The armour is identical as well, as is the performance – though players may notice the improved characteristics of the Mk.6 in the garage compared to a newly-unlocked Mk.5, these perceived differences are caused by the presence of the level 5 crew. While the APDS ammunition is universal, the HESH shells (with their increased chance of wounding enemy vehicle crewmembers) are an excellent tool for dealing with very lightly armoured targets – or with targets that regular APDS ammunition cannot penetrate. Refresh the page, and try again. There was an error with the button. No link? how do i open? Try to refresh the page, the button wasn’t working. Thank you, Harkonnen! I’ve got it. Rare? It’s been sold twice in the E3 Digital ticket bundles on humble bundle. As I got mine… for $1, along with several other stuff. It was there in 2016, and 2017. So if you don’t get one here… Who knows. You might get lucky again this E3. Previous Entry Armored Warfare: Black See Incursion is here!